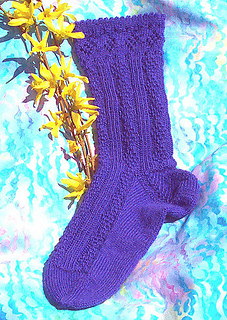 A picot edge and Lacy Diamonds add a feminine touch to this selection from TheKnitter.com sock of the month club. 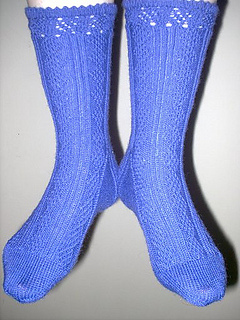 The diamond theme is carried out in the knit/purl patterned leg. Top down construction with a dutch heel.